Tammy Carroll knows birthdays are always a reason to celebrate, but for her family, they are more than just occasions to eat cake and open gifts. 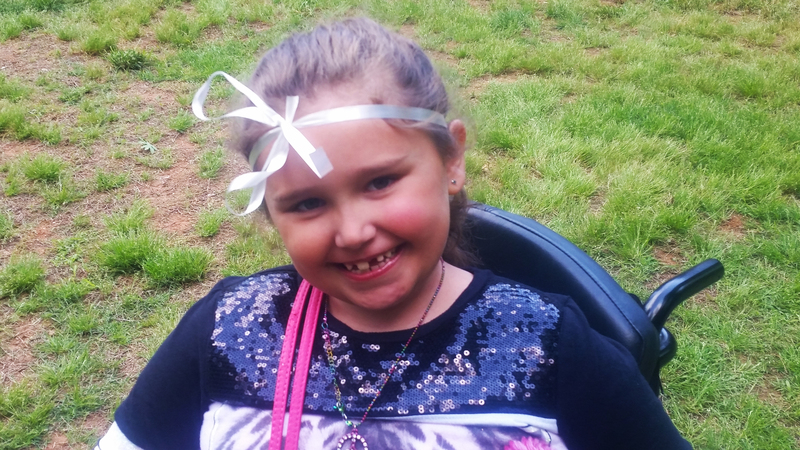 Tammy’s daughter and 2016 MDA Georgia State Ambassador, Alexas, who has spinal muscular atrophy type 2, celebrated her ninth birthday in the fall and it was indeed a day to be recognized. “Her birthdays are extremely special. It’s another year that she gets to stay with us,” shares Tammy. This year however, Alexas’s birthday wasn’t the only major family celebration. With the Christmas time announcement that the U.S. Food and Drug Administration (FDA) approved Biogen’s nusinersen (brand name Spinraza) for the treatment of SMA, Alexas’s family received the best Christmas gift imaginable: hope in the form of the first ever treatment for SMA. 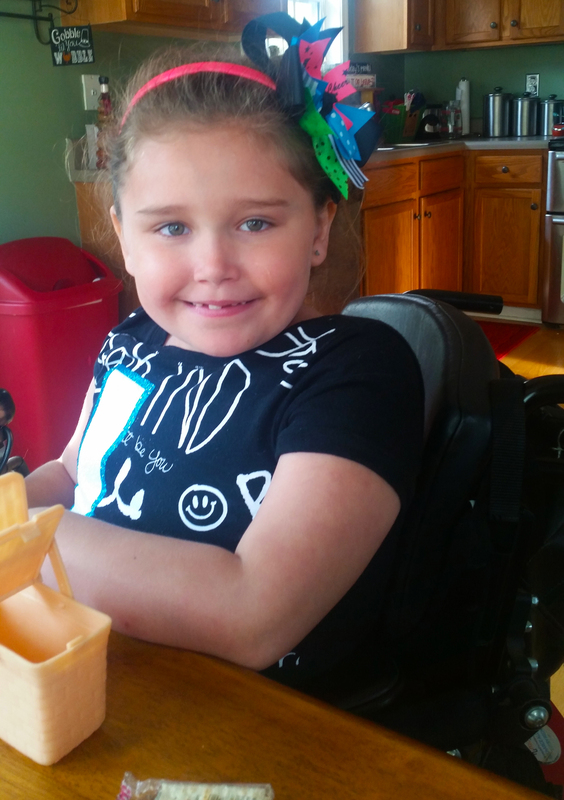 “Our family was so excited to hear about the new FDA approved drug Spinraza. I cried like a baby when I got the news and could not wait to share it with the rest of my family and friends,” shares Tammy. Despite this recent announcement, Alexas has always made it a priority to Live Unlimited every single day of the year. “We don’t use the word ‘can’t’ in our home, so Alexas will find a way to do what the other kids are doing – maybe not exactly like other children but she will find a way to do it,” says Tammy. Alexas keeps busy with her many hobbies and activities including Art Club, singing in her school chorus and participating in her local MDA Muscle Walk, which holds a special place in her heart. 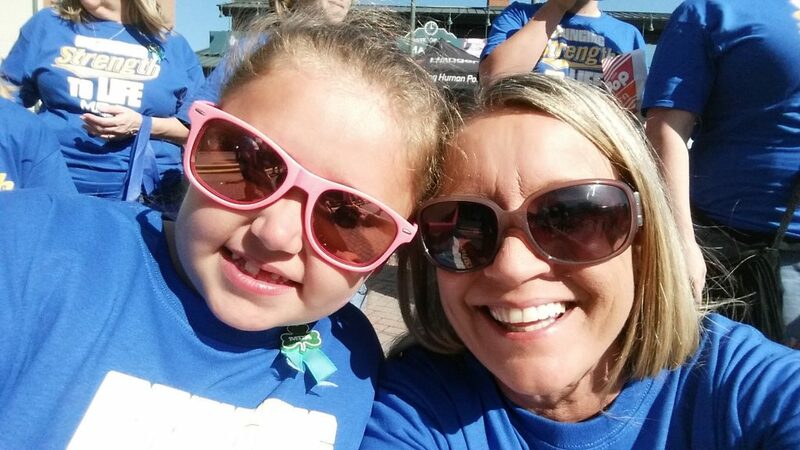 She enjoys being able to put her skills from Art Club to the test when employees from her local Lowe’s Home Improvement store volunteer at her MDA Muscle Walk and offer projects and arts and crafts for the event attendees. Most importantly however, Alexas has become passionate about giving back to the MDA community and helping MDA families live longer and grow stronger. In the wake of the Spinraza approval, Tammy is hopeful for even more birthday celebrations in the future. Help fund research for treatments and cures for SMA and all neuromuscular diseases.